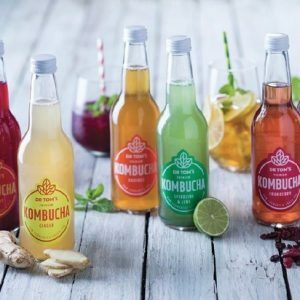 We are delighted to bring you the beautiful and refreshing range of Dr Tom’s Premium Kombucha. Our kombucha is slow-brewed right here in South Africa using nothing but the freshest natural ingredients. We have six delicious flavours made from different combinations of fine teas, and including South Africa’s first kombucha coffee. A Unique Blend of Premium Coffee & Functional Superfoods. A rich cocoa hot chocolate with a coconut flavour.